The Iowa Transportation Commission on October 8, 2018 approved more than $3.1 million in funding for five rail infrastructure and related rail development projects under the Railroad Revolving Loan and Grant (RRLG) Program. The projects are expected to support the creation and retention of 136 jobs within 3 years of project completion. The proposed developments will leverage millions in new capital investments across the state. Details on the applications, recommendations and awards. The Iowa Rail Toolkit was created to provide new freight rail users and economic development professionals with a basic introduction to rail freight shipping concepts, practices and access. 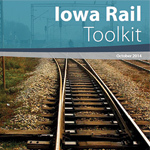 Resources are included to help make shipping by rail in Iowa easier and more understandable. 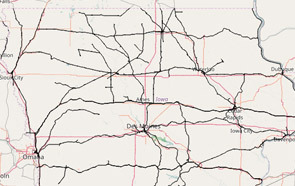 A directory of Iowa railroad companies is included listing contact information and a basic profile of each network. 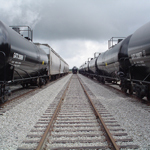 A new study released today by the Iowa departments of transportation and homeland security and emergency management reveals insights into the transportation by rail of crude oil and biofuels around and through Iowa. What's new or of note. . .
To contact a staff member in the Office of Rail, see our staff directory.